Home Deadly Home. Appearance of Prince Zorba, Quasimodo. Fantastic Four #205, Newsstand is out-of-stock. Fantastic Four #206 is out-of-stock. Fantastic Four #207 is out-of-stock. The Power of the Sphinx. Origin of Protector. Appearance of Nova, Sphinx, Queen Adora, Comet, Diamondhead, Thoran Rul (Protector), Crimebuster, Doctor Sun, Powerhouse. Trapped in the Sargasso of Space. 1st Appearance of Herbie. 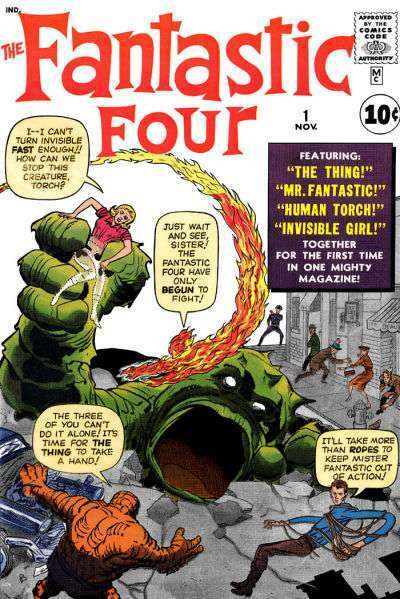 Fantastic Four #210, Newsstand is out-of-stock. Fantastic Four #211 is out-of-stock. And Then There Was One. Appearance of Queen Adora, Dum Dum Dugan. Death of Skrull X. When A Spider-Man Comes Calling. Continued from Peter Parker, the Spectacular Spider-Man #42. And The Lights Went Out All Ever The World. Origin of Fantastic Four. Tower of Crystal, Dreams of Glass. The Blind God's Tears. Appearance of Thor.